Been ages since I have done a post on VOIP stuff for you guys, I am going to talk about the new locations in CUCM 8 and above in this blog post. Just a quick refresher: Locations in CUCM are a form of Call Admission Control (CAC) that is used in CUCM to protect VOIP traffic from itself, sounds funny right? Let's see how it's applicable. Let's say you have a 512kbps location, and you dedicate let's say 128 kilobits of that to VOIP calls, this is a simple example, that might not be the right amount, you need to take into account IP Overhead, etc. etc. But for our purposes let's use this example. OK, So how do we normally QoS our VOIP Calls? We Prioritze them right? We use the priority keyword: priority 128 or something to that effect in our QoS behaviour. So now we are guaranteeing that VOIP traffic will be put to the front of the queue in times of congestion and will get highest priority. What we are ALSO doing, is not allowing that traffic during times of congestion to get MORE than 128kilobits per second, So not only are we prioritizing, we are policing as well. Remember this is ONLY during times of congestion: if the link is not congested, we can run as much VOIP traffic as we like. So, let's say we have two calls to this location, two calls, G.711 we are getting 64kilobits per second for each call so a total of 128, even if this link gets congested: no problem, we have our priority queue taking care of it. But suppose a third call is attempted while this link is congested: Now we have three calls, totalling 192 kilobits per second of bandwidth fighting for 128 kilobits of available bandwidth and being policed down so dropping packets indiscrimentley, leading not only to a bad quality voice call for the new VOIP caller but for all VOIP callers! So now you understand the purpose of CAC. Let's talk quickly about the methods we can use to control it. First of all, a standards-based protocol to deal with this problem, called RSVP, was created. This protocol uses a reservation system (Hence RSVP) to reserve bandwidth on a link at the time of call. RSVP has the main advantage of being dynamic: meaning it responds to changes in the network topology such as links going up or down to determine bandwidth, if implemented properly RSVP works quite well, the main issue with RSVP is that it is quite complicated to setup. So a simpler method was created within CUCM called locations. 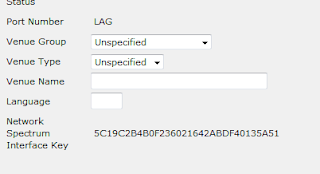 Locations are configured per-site in CUCM by specifying the maximum amount of bandwidth allowed for that location, calls that would exceed this total are denied and are redirected using AAR (Automatic Alternative Routing) which uses a local PSTN breakout to complete the call. The problem with locations is the exact opposite of RSVP: It is static, meaning it can't take into account changes in the topology. CUCM 8 and 9 introduced a few methods to get around this problem, and that will be the focus of our article. When you first login to CUCM 8 and above you will notice three default locations that will already exist, it's important that we go through each of them. Hub_None - This location has been around for a while and is basically a location with unlimited bandwidth for audio and video. No Restrictions are made with this location. This is the default and you will also notice that if you are creating a new phone etc, this hub_none location is selected by default, so does that mean your phone will use this location instead of that in the device pool? NO! The hub_none location is only used on a phone if a device pool location is not specified so keep that in mind. Shadow - The shadow location is a new location created as part of Enhanced Location CAC (more on this later) and is only used on the SIP intercluster trunks that you configure when doing intercluster CUCM. 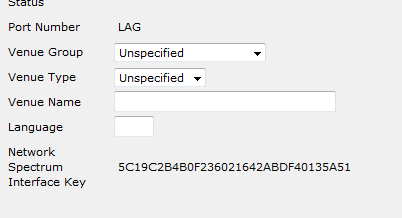 If you where to assign this to anything other than a intercluster SIP Link, the location is ignored and the device treated as if it was in the hub_none location. Phantom - This location is used for intercluster trunks. This location is set on InterCluster Trunks and allows the calling and called party to exchange an Information Element (IE) reflecting their own location. This helps with a hairpin situation. Let's say you have Phone A and Phone B in one Cluster, Cluster A, which is attached to Cluster B. For some reason your call routing is configured so that the call goes from Phone A to Phone B Via the Intercluster Trunk, This would mean that you would reduce bandwidth twice: 1 for the inbound call and one for the outbound call to those locations even though Phone A and Phone B are in the same location! The Phantom Location allows you to have the real location transferred as part of the call and therefore the correct amount of bandwidth will be removed from the locations. So the only one of the locations we might use in a single cluster environment as per the above is the hub_none location. Phantom and Shadow are useful for inter-cluster situations. Let's continue to look at locations. Let's go through each of the options. Recently got myself a Mac Book Pro Retina, Most things I like, some things annoy me. The things I like are normally related to the underlying Unix in the OS, including SSH. If your anything like me 99 percent of the time you log into routers etc you use a username and password, but Linux guru's (like my friend at www.sysadminblog.net) have long been using SSH keys to create secure connections to there linux servers without having to enter a password every time. We can do the exact same thing on IOS routers and it's relatively straightforward. First, I will show you how to generate a ssh key in Mac OS X, I am sure that this process can be done with Putty, and in fact I think there is a putty program specifically geared for this exact reason called puttygen. I will show the Mac-OS X commands, should be easy enough to figure it out for windows as i mentioned above. The Passphase is highly recommended: This means that if someone gets a copy of your private key they will still need this password, it also means that you will run a special bit of software called a "SSH Agent" that, when you first use the private key will prompt you for the pass phase to use it, it will only do this once per desktop login session (so if you shut your mac down or log out, next time you SSH in to a host your using SSH key authentication you will need to enter this key phase, but after that you won't have to enter that pass phase again. So pick something secure! So, as per below enter the ssh-keygen command, choose a path to store the key, enter a pass phase. Your identification has been saved in /Users/peterrevill/.ssh/id_rsa. Your public key has been saved in /Users/peterrevill/.ssh/id_rsa.pub. OK next, cd to the directory and look at your new public key. We need to paste the output of our cat command into the router, so at this point it's time to login to the router. It should be obvious you need SSH enabled, and you will want SSH version 2. Now, the thing about this process that I have found, is that if you have a user who already has a password, even if your using SSH keys it prompts you for the password, there may be a way to resolve this but not that your humble friend (Me!) could find. So if anyone does know a way to stop this behaviour and allow people to login with EITHER SSH key OR password but not both please post it in the comments :). So, to account for this we make a new user and we don't assign them a password, we do assign them privilege 15 though so that the enable password does not have to be entered. Once you have entered the final command key-string come back to this page before continuing. The start of the key will show: ssh-rsa, you have to copy this in and copy the plaintext bit at the end as this is the description. Once this is done, you are ready to test it out! That easy hey? If you assigned a pass-phase to your private key (which you should have done), you will now be prompted by Mac-OS-X itself to enter the pass phase for the private key, after that you should not have to enter this pass phase again until turn off your mac, even subsequent SSH sessions with OTHER routers will be fine. debug1: Connecting to 10.0.0.3 [10.0.0.3] port 22.
debug1: Host '10.0.0.3' is known and matches the RSA host key. debug1: Authentication succeeded (public key). We are now logged into the router and ready to start configuring! I want to thank everyone for there continued support, my friends and family and everyone who has been really positive about this blog, I have found it very rewarding to be able to help people and quite a few people whom i have not met have told me hey I know you i read your blog. Really nice Feeling! Found a great site with some UCS emulator troubleshoooting tips that you might find helpful! As per the subject i passed my CCIE DC and in this blog post I will describe the process that worked for me. What worked for me might not work for you! So keep that in mind. OK I am going to assume in this post you have already passed the CCIE DC Written and are looking at the lab. There are several aspects to the CCIE DC Lab that are worth considering, the first is: Lab Rack availability, at the moment at least, is quite sparse, until this situation improves, I recommend at the beginning of your studies for the lab (and assuming you studied hard for the written) I would say make a lab booking within 4 to 6 months from when your ready to knuckle down and start studying hard. The other aspect is Rack Rental availability from Vendors such as INE and IPExpert is also quite tight at the moment., which makes things difficult, in this blog post we will go through some of the stratergys to help with that situation. Before I start getting too much into depth, let me take a quick chance to address the "Big two" of vendor training, INE and IP Expert. I am absolutely not a fanboy by any strech of the imagination: I will use products from either vendor to achieve my goal. I just want to pass, each company has pro's and con's and by combining both, your more likely to get a nice mix. Don't dismiss other options such as traditional training from Cisco Vendor Partners like Firefly, Fastlane etc. It was through a firefly Course that I met a very good friend of Mine Adriaan Steyn,Believe me when i tell you he taught me PLENTY of great info about the Nexus line of switches, I also did a UCS Course with Housley Communications and that too was great training. Good training, like good products is not restricted to a certain vendor: You might love Sony Headphones but hate Sony TV's for example, don't restrict yourself to a "Oh my training partner is XYZ", That is dumb. Combine all the training you can, learn from whoever you can. OK let's start talking about the study method I used. First of all, You need to learn the protocols and topics on the blueprint, that much should be obvious, to study, i hand write all my notes, i always hand write my notes, never type: your brain is wired through thousands of years of evolution to hand write, you absorb the information more readily than typing, it is too easy when typing notes to just type and not really think about what it is your typing (especially if like me you can touch type). Hand writing forces you to slow down and the fact that you have to write it, means invariably you will reword it to make it shorter to write, meaning you will understand it better. Plus it's much much easier to draw a network engineers favorite tool: a diagram. Starting on a new topic got me enthusiastic and gave me interest I needed to stay motivated. I then bought myself two Cisco MDS 9216i Switches, I cannot recommend this enough, you SHOULD buy these switches for your own home lab, they are about 500 bucks on ebay (I am selling mine if anyone is interseted, contact me peter@peterrevill.com), I am honestly not just pimping them because I am selling mine: it's INCREDIBLY useful to be able to test the storage stuff in a limited fashion in your own home, and for such a low price this is one of the few things in CCIE DC you can play with yourself. Be warned: they are VERY noisy. 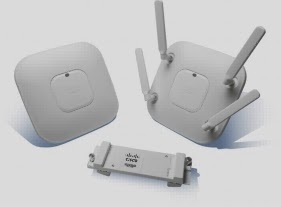 Make sure you get ones with Generation 2 modules, Generation 1 modules CANNOT do certain types of port channels and it can become very frustarting. So now I was watching the INE Storage videos, taking notes, then testing on my home lab equipment what I could, certain topics like FCoE I couldn't test so at that point I would do rack rentals from either IPexpert or INE: Both of them have there pro's and con's, with IPExpert you get access to a FULL lab of the ENTIRE CCIE DC, _but_ the availability is quite low at the moment, with INE (and this may have changed, you would be best off asking them), you don't have access to the whole N7k yourself so you can't make your own VDC's for example, and you can't create a storage VDC, I also _BELIEVE_ that the current N5k is a 5010 or 5020 and not a 5548 which also limits some of the things you can do. You can still do a HECK of a lot with the 5020's, but if your desperate to make sure you have the exact same equipment as the DC Lab then you will want to get yourself some IPExpert time. Speaking of the rack rental systems, I must say; the INE rack rental system that you use for booking and organizing etc is _EXCELLENT_. I did make a humble solution for improvement on it but all in all it is excellent, you can tell they have spent a lot of time working on it and it shows. So now I am busy going through this topic and at this point I have not done any workbooks or labs, just going through the theory, testing it out myself. I started posting on my blog as well as this was going on. I strongly recommend starting a blog: being able to successfully communicate a concept to someone else means that you UNDERSTAND that concept. Plus you can meet some great people through your blog, and it's a great way to organise your own thoughts and opinions. So I kept this process up through all the individual topics, UCS, Virtualization, Ace, pretty much all the video's provided by INE I went through and studied each of those topics. Once this was finally done, it was time to start the practice labs. Perfect example, During my bootcamp there was a discussion about vPC and what kind of BPDU's vPC would send, which switch (primary and secondary) would send BPDU's and what commands you could do to tweak it, so instead of everyone arguing and trying to show how big there brain was, we said let's do a debug spanning-tree bpdu event or whatever the command is and CHECK. There is SO much misinformation out there that you just HAVE to check for YOURSELF what works and what does not, how the technology works, this is how i try and structure my blog: I theorize how I believe a protocol should work or something should work, then I test my hypothesis, and I humbly submit my findings to you, my blog reader. It's a little thing you might have heard of called the scientific method: Adapt this in your studies, trust nothing, verify it yourself, prove to yourself you have an understanding as to exactly how it works. To compliment my study regime, I started reading quite a few books, my friend Ron Fuller and David Yansen have a great Cisco Nexus book, for example, in no particular order I read the following books pretty much from cover to cover. The first is a Nexus topic book, this was a great great book. There are some very good topics covered very well here and it really complimented the INE videos and helped me fill in the gaps of my knowledge. If you only buy one book for the CCIE DC studies make it this one. At this point i was ready to begin discussing my thoughts on protocols with my friends and collegues studying for the same exam (or performing Data-Centre related work out in the field.) This is a crucial step: your friends will challenge your knowledge, if you don't know a topic well and they do, they will unveil this weakness to you: My friends and I did this to great success, we would give each other hairy questions and make friendly wagers on how a particular technology is meant to work, like how does vPC peer-switch actually work. I confess to losing quite a few of these wagers! I also became active on twitter and tried my best to help people out there: Good questions can help you understand a technology better, but be careful not to claim you have an answer to a problem if you don't. Try not to mislead people! Too much misinformation out there. For rack time, A great tool is the Cisco PEC: Use it! Remember, even though they have particular labs, if the equipment matches what your trying to learn your NOT restricted to JUST doing the labs they list in the PEC, the PEC is a valuable resource: use it. So after I finished up the technology labs and a few mock labs I went on my CCIE Data Centre Bootcamp with Ipexpert, I always do this as my final preperation of study: The bootcamps should be your final step, don't go to a bootcamp as one of your first steps, it will be wasted on you. You can't possibly cram the massive amount of information you need to know and massive topic list into just 2 weeks or a week or however long you have, your bootcamp should be about solidifying everything and making sure you know what's going on. A sign your on the right track is throwing out great tricky questions to your lecturer. After this I was ready for my first attempt and took it in brussels, while I was quite close, I failed, I was absolutely distraught: I really thought I had nailed it, I finished quite early, my mistake was not reading the questions carefully. I was humbled by the first attempt, it showed me that although I might have most of the technologies understood and I definitely have the speed i did NOT have the careful reading that is required of this CCIE DC exam. I quickly booked a second attempt and during the time between first attempt and second I just studied my notes again, kept everything fresh as I already had the knowledge I just didn't have the careful reading required of the exam. I managed to pass the second time after being careful. I hope this helps someone out there, to all my loyal readers and people with kind words: it honestly makes me SMILE from EAR TO EAR when I know that one of my blog posts helped you! I like to help people it's in my nature, I wish you all the luck in the world in your quest to obtain CCIE DC.